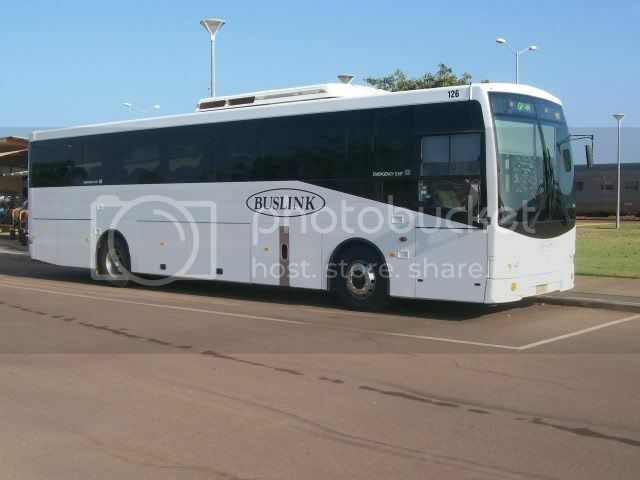 Part 3 is Buslink.. Buslink is a major operator of buses around Darwin, also with Depots across the Northern Territory. 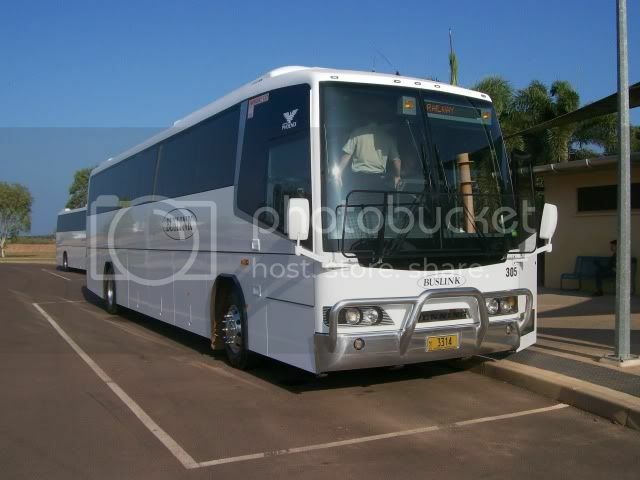 Buslink provide buses, as contracted to assist with Darwin Bus Service in providing Public Transport across the Darwin region and also in Alice Springs. Buslink also operate numerous school services, the Darwin& Alice Springs Airport Transfer and transfers to and from The Ghan. on Saturday 21/8. The bus had just dropped passengers travelling on The Ghan. Buslink 305- m/o3314, a 2010 Denning Silver Phoenix/ Denning, also seen at Darwin Rail Passenger Terminal on 21/8. 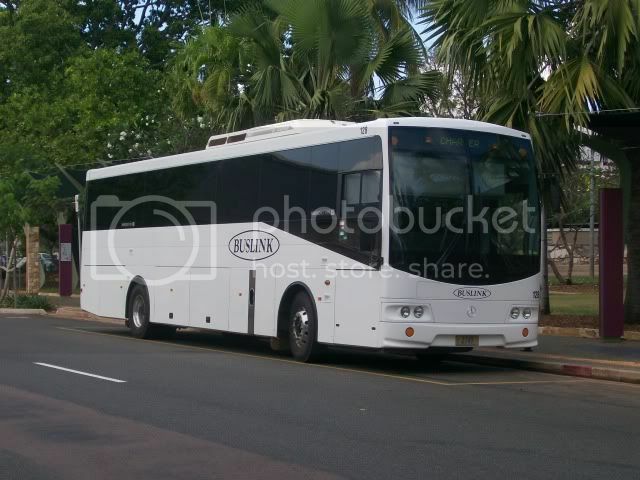 Buslink 128- m/0 2749, a 2004 Mercedes Benz OH1728/Volgren SC222, seen on a School Charter in Darwin City. 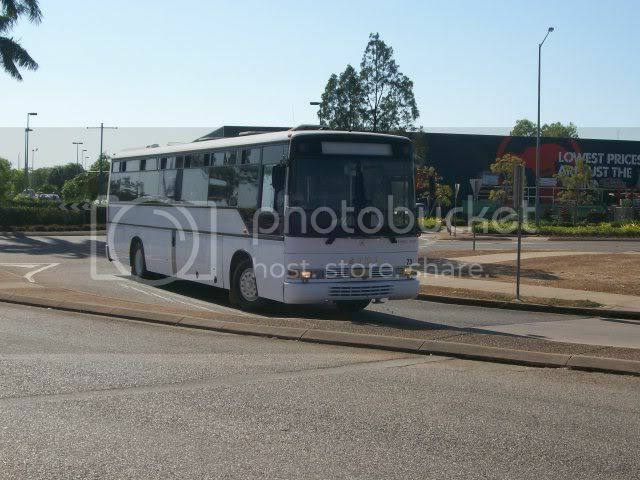 Buslink 167- m/o2756, a 2005 Mercedes Benz 0500LE/Volgren CR228L, seen loading passengers at Casuarina. 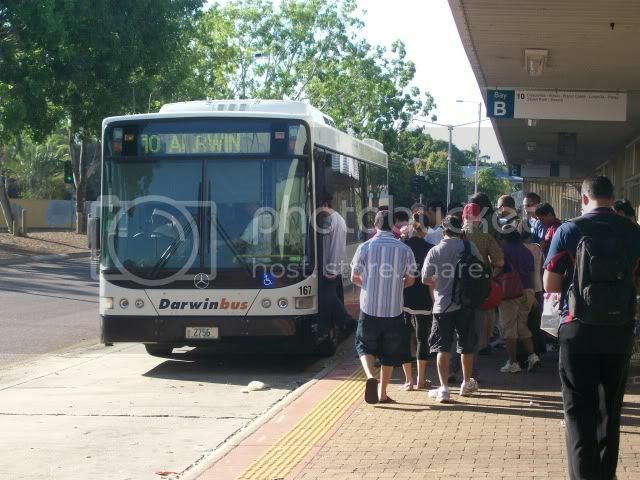 Route 10 is the more direct service between Casuarina and Darwin, and is also the more frequent route. 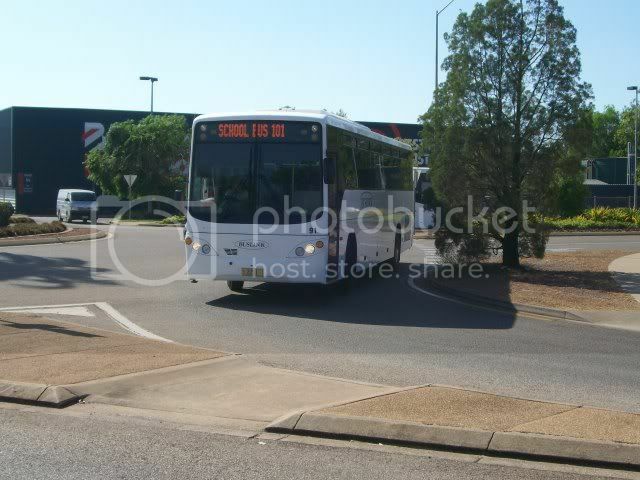 Buslink 73, m/o 2622, a 1990 Isuzu LT1-11P/PMC160 entering Palmerston Interchange on a school special. Excellent photo's again Coach_Captain,i can see The Ghan waiting for you for your journey southwards. red baron wrote: Excellent photo's again Coach_Captain,i can see The Ghan waiting for you for your journey southwards. And it was sure waiting... My friend called out to me that we had to board, yet I was getting photos of buses Typical!! Hi Coach_Captain im hoping I can use one of the images you posted here recently. The very top image (Buslink 126- m/o2740). If you can contact me i'd rather explain in a more private setting.